While most of what determines a blogger’s success is the talent and capabilities of the blogger, it’s not secret a good stack of blog tools will help you get more done. The right blog tools can also help you measure your effectiveness, save time, optimize your results over time, and even improve the quality of your writing and production. That said, it can be overwhelming to dive into the world of blogging tools – especially if you’re just starting out in blogging, but even if you’ve been doing it for a while. New stuff is coming out all time, and none of us has enough time to try everything out. Some tools are duds, and some are game changers. This blog post will help you sift through the chaos and pick what you really need to get better results and more work done. 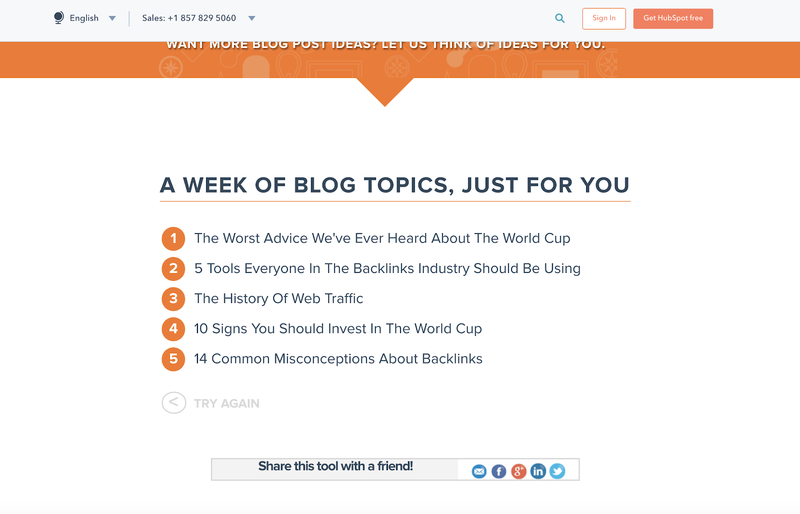 A Curated List of 72+ Blogging Tools (Reviewed by Professionals). We have our own tech stack here at Wordable that helps us push out quality blog posts. But we also wanted to see what other top performers are using. So we reached out to dozens of experts and came up with a curated list, separated by distinct categories, of the top blog tools used by professionals. Where possible, we also took direct quotes from these professionals to lend some context in the form of a tool review. Part of the blogging endeavor is consistently upping your own skill level and keeping up to date with trends and data. To that end, there are many blogs and inspiration sources out there for you. Quora is a site where any user can ask a question, about basically any topic, and any user can provide an answer. There are tons of experts on there; some well-known, and some super knowledgeable but barely known. Quora is a great place to find blog topic ideas, experts that could guest write for your blog, or just general problems people are trying solve in your industry. Reddit is massive and well-known, but not many are aware of the extent of Reddit’s topical reach. For basically any industry, you can find a corresponding subreddit filled with passionate people in the space. …and on and on. Reddit, like Quora, is a good place to field questions and answers. It’s also a good place to just keep a general pulse on what’s happening in your industry. Try not to use Reddit as solely a marketing place (i.e. a place to dump your content). That’s not cool, and most of the time, not effective. 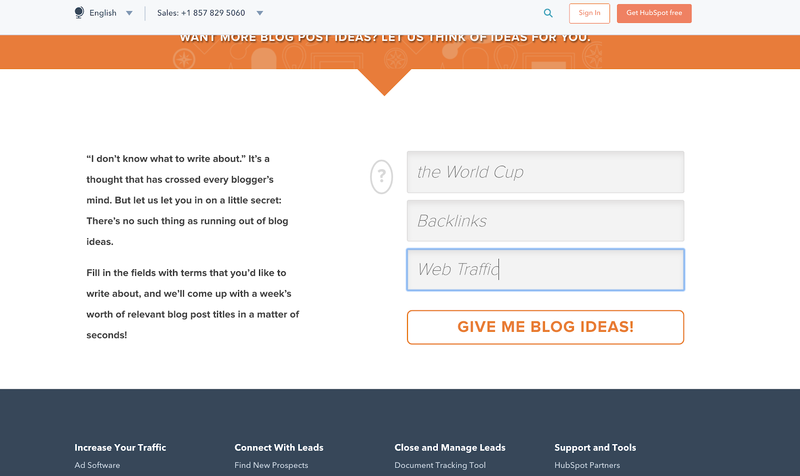 HubSpot has a nifty free tool called the Blog Ideas Generator that can be great to get the brain working. Especially if you feel like you’ve written everything there is to write, and you’re coming up against a creative roadblock, might be worth giving it a spin. Then you’ll get a couple of suggestions. It’s not perfect, but it’s a good way to throw some ideas out there. GrowthHackers is where smart marketers hang out, discuss ideas, ask questions, and sometimes, dump links of their content. It’s mostly a good place with interesting conversations, though you do have to avoid the blatant content rings that push up poor content to the top. I’d say that 90% of what’s on the front page, though, belongs there. You can take it as a good sample of what’s happening and interesting in the marketing space. Always helps to keep current. It’s also interesting seeing what type of content is doing well at any given time. Digital Marketer offers a ton of resources for bloggers. They, of course, have a blog of their own that is stacked with information. But they also have specialized training programs, like Digital Marketer HQ and Digital Marketer Labs, that help educate marketing teams on various aspects of the craft – from content marketing to monetization to landing page optimization. It’s, overall, a good place for beginners to brush up on each part of marketing. Nowadays, the best conversations and inspiration seems to come from private industry Slack groups. It used to be on Facebook and LinkedIn (and still is to some extent), but the nature of how Slack works makes it a good place to explore ideas with others in your space. Can’t find a group for your space? Make one. We’ll walk through user experience and optimization tools later (I consider surveys a part of that, among other things). But if you’re doing customer surveys, you should, well, be taking some sort of action on them. One of the best ways to do that? Source problem areas, customer frustrations, and therefore, content ideas, directly from your audience. Do this: set up an drip email sequence when someone signs up for your email list. On your third email, have them fill out a survey (you can offer an incentive if you’d like). Use this to poll your audience on what they care about most, and also ask some open ended questions about what they’re working on and struggling with. Then, write content to help solve those problems. Obviously, to blog, we need a platform with which to write said blog. There are tons and tons of options, but only a few that really matter, at least in terms of popularity. WordPress powers something like 30% of the internet. It’s huge. If given the choice, I’d most likely take WordPress. Sure, there are situations that deviate from the norm, and you may need a tool that offers more of an all-in-one suite (like HubSpot), but for most people, WordPress is the way to go. It’s one of the more economic platforms, and the ecosystem is huge, so you can find a native integration or plug-in for almost anything, and if you’re troubleshooting any problems, there’s a huge network to tap into. Plus, if you use WordPress, you can save a couple of hours with each blog post by using Wordable to upload your drafts straight from Google Docs. Just sayin’. Ghost is an open-source, mission-drive platform that more and more companies are adopting. Their customers include Airtable, Tinder, DigitalOcean, and many more. Oh, they’re also a registered non-profit, which is pretty neat. 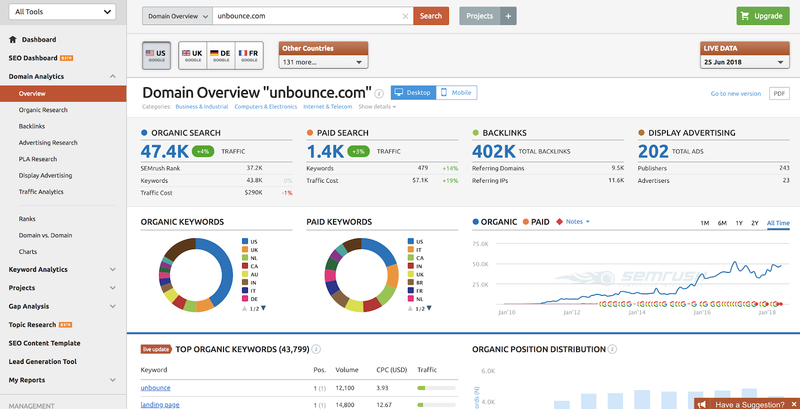 HubSpot isn’t just a blogging platform, but it more or less started that way (as an “inbound marketing” platform). It’s core offering is still a CMS, but their added benefit is that they give you pretty much every tool you’d need, and more, to operate a fully effective marketing program. This includes social media management, landing pages and CTAs, lead capture, and more. If you’re worried about connecting disparate data sources and applications, and just want an all-in-one system that can take you from zero to results, HubSpot is a nice system. Wix.com is one of a few small business website builders that have become popular in recent years. It does more than blogging, it’s an all-in-one website builder and designer. It’s main benefit is easy. I wouldn’t move too much onto Wix.com if what you want is flexibility and customizability, but it can be great to get up and running quickly. SquareSpace, also, is a popular small business website builder. I think it’s even easier to use than Wix.com, so I actually prefer it. Still, I’d rather use WordPress or Ghost if price is the issue, and I’d rather use something like HubSpot if what you care about is power combined with simplicity. Still, some people use and love SquareSpace. It’s a matter of personal preference and knowledge sometimes as well. Medium is a platform built specifically for bloggers, publications, and journalists. You can easily write, comment, and share posts with a free account. You can also build a fully functional company blog with a unique domain on Medium. Look, for example, at something like HackerNoon or ThinkGrowth. Both are built on Medium. There are some tradeoffs for doing that. Upside: you can access a built in promotion network of Medium users. Downside: you have less control over your content, formatting, and design. Here we again have a category of tools that is quite mandatory for a blogger: tools for writing. Unless you’re still slinging around a notepad and a pen, you’ll need one of the following tools to put words on a document. Google Docs is the gold standard when it comes to blogging. If you’re a prolific blogger, you probably know this. Heck, if you do any sort of writing, be it writing essays in college or collaborating on projects with colleagues, you likely use Google Docs. There’s not much else to add, other than that Google Docs is quite universal. It’s got most of the functionality of Microsoft Word, but less annoying to use and more collaborative. Why not use it? Airstory is a solution built specifically for online writing professionals (by copywriter extraordinaire, Joanna Wiebe). Basically, it combines your notes and clippings as well as an outlining tool into a writing platform. This makes it easier to integrate all of your disparate sources of notes and research documents, therefore saving you tons of time. If you write a lot, and especially if you write a lot of research-based content, Airstory is great. Scrivener is mainly known and used by those writing books. It’s like Google Docs on steroids, at least in terms of its organization capabilities. You can more easily tab through different sections and organize very large documents. Even if you don’t plan on launching a bestseller, it might be worth checking out Scrivener if you write a lot of ebooks or large documents. You probably use, or at least have used, Evernote. Evernote is basically a note taking system, but you can use it across devices and share notes with collaborators. You can also easily clip things from the web, including links and screenshots, making it a writer’s dream tool. As someone who uses different computers to get work done, I find it incredibly valuable (along with Google Docs, for the same reason). Dropbox is secure file sharing. You’ve likely used this one, or at least heard about it, as well. I’d say it is less useful for writers, at least specifically for writing. It’s mostly useful if you’re working with and sharing bigger files (and files in raw format) such as images, Photoshop documents, videos, or other multimedia files. Once you’re writing, and especially when you’re in the zone, it can help to have some tools that automatically help you reduce your writing errors and even improve the quality of your writing. There are definitely a couple free (or cheap) tools out there to help assure your quality. Hemingway is an app that helps you write at a more understandable level – think smaller words, shorter sentences, and clearer syntax. If you already write tersely, no need to get extra help. But if you’re a rambler, I say give it a try. Grammarly is one of those apps that, until recently, I had never used, but now, I don’t know how I could live without. It’s a spell check that works on your Chrome browser. Try it out; you’ll be surprised how many errors it saves you. 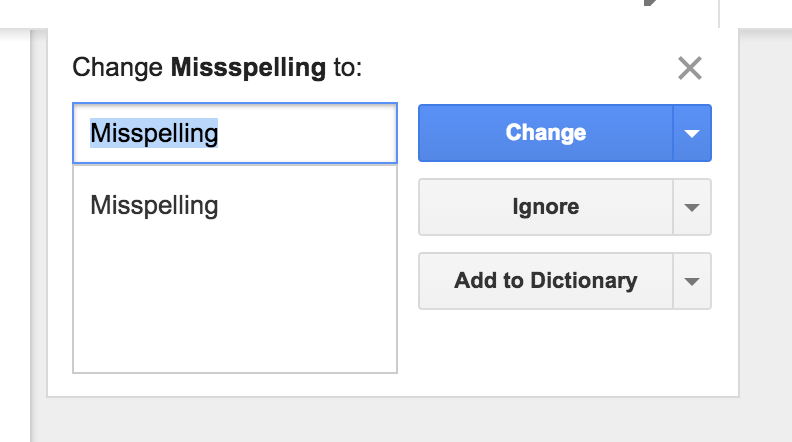 Otherwise, you could just use Google Docs spell check. 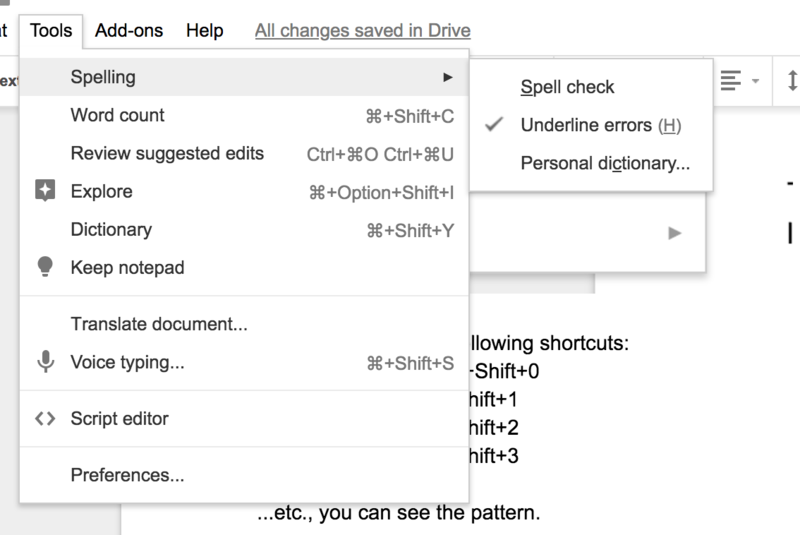 To set up a spell check within Google Docs, go to Tools > Spelling > Spell check in your toolbar. Voila! Might as well put this on your checklist of things to do before uploading your draft to WordPress. After a while, you get a certain fingertip feel for SEO copywriting. Until then, use an extension like SEMRush’s SEO Writing Assistant to make sure you’re doing so. It works with Google Docs, so you maximize the SEO benefits of your content while you’re actually writing the piece – not just after it’s live. Yoast is the classic SEO plugin for WordPress. 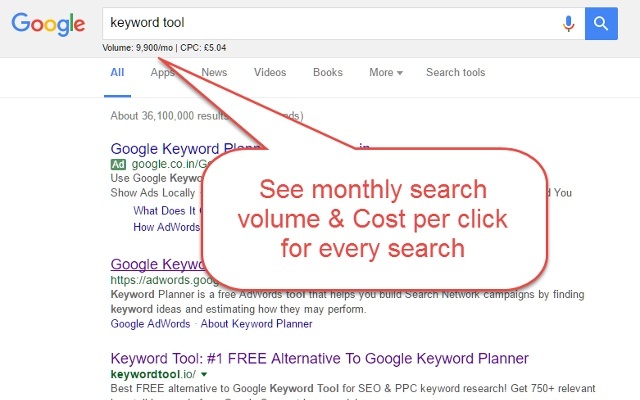 It helps you plan your keywords and make sure your content is optimized to help you rank for said terms. Highly recommend you use this if you plan on getting any traffic from SEO whatsoever (which you should), and if you use WordPress. The more you write, the harder it becomes to manage the process. Add in guest writers and/or a team of internal writers, and well, you definitely need a system to manage everything. There are so many great solutions out there for content workflow tools. Trello is my favorite workflow management system. It’s basically just a simple kanban board – you set up different columns and can move tasks from one discrete stage to another. But it’s also easy to collaborate and share access with others, and it’s a great place to set up ideas, checklists, notes, and more. Most people I know use Trello. Their calendar feature makes it easy to use this as an editorial calendar as well. Airtable is kind of like a mix between a spreadsheet and Trello, but with a more beautiful interface. It’s ultimately super customizable, and that can be daunting. Trello is simple. But you have to put in work to make Airtable work for you. Once you do, however, it’s addicting. Luckily, they have a whole section of their site devoted to templates and examples that you can use as inspiration. CoSchedule is another editorial calendar and content marketing workflow tool that is quite popular. It’s unique in that it is fully dedicated to content marketers, whereas Trello and Airtable are used by a wide variety of professionals, including those in growth, product, and engineering. Kapost, similarly, is a content marketing specific platform. It’s more robust than the others, but possibly a pain to get started and set up. It seems to be a bit more enterprise in its usage. You can always go with the good old tried and true: the spreadsheet. I’m not going to lie, I still do a lot of my content planning, particularly my ideation and SEO research, on a spreadsheet. I often start it out on Excel (where I like working), bring it to Google Sheets to share with other people, and then operationalize it in something like Trello. But the spreadsheet is oddly comforting for planning, so feel no shaming in using it. There are a few WordPress plugins that allow you to build out editorial calendars. Here’s one of them. If you want to completely work within WordPress and are opposed to using outside tools, this is a good thing to work with. Otherwise, I’ve found tools like Trello and CoSchedule to be a bit better to maintain calendars, particularly if you need to collaborate a lot. Basecamp isn’t just for content, but it can be a useful task management system. Particularly if you have several different roles working on content – designers, SEOs, developers, etc. – then Basecamp can be a good way to organize the complex projects to get content live. Once you’ve got the basics out of the way – the writing tools, the CMS, the workflow management tools – then you can move onto productivity. How do you increase your output? How do you save time by cutting out useless or repetitive tasks? These tools will help you out. Wordable lets you upload your Google Docs directly to WordPress, perfectly formatted, within seconds. How many articles do you write? How long is each article? How much time does it take you to format each article in WordPress? It’s not uncommon for us to hear that users save 2-4 hours per article. Think what that could save you over the course of a month, or over a year. I’m not a huge pomodoro fan, but many people are. This Tomato Timer gives you a nice, free, in-browser tool to do pomodoro sprints. StayFocusd is another non-content specific productivity tool. But no matter what you’re working on, the most important part really is uninterrupted focus. StayFocusd does that by setting limits on the sites you can visit before you’re done with work, and warning you or blocking the sites when you’ve gone over that time. LastPass stores all of your passwords. This has helped save me an absurd amount of time. If you use several tools and share passwords with your team, use LastPass. Never go through the “Forgot your password?” process again. Blogging isn’t just about writing; most of the time, you also have to use images, video, and other forms of media in your posts. The following tools and resources help you source, create, and share different types of media for content. Canva helps you create visuals for your content. You can start out for free and create tons of template based visuals, whether they’re for cover images, social media posts, or ebook covers. Once you start paying for Canva, though, you can access team templates, premium artwork, and more. It’s a great tool for content team who don’t want to invest a lifetime in becoming a Photoshop master. Adobe Photoshop is the clear leader in terms of creating artwork. It’s likely you’ve had some experience with the tool in the past, but maybe not enough to consider yourself a master. In any case, Photoshop (as well as InDesign and other Creative Suite tools) is incredibly useful, not just for bloggers, but for anyone in the marketing space. Infographics are pretty arduous to make. Venngage gives you the ability to easily make infographics. Piktochart also lets you create infographics easily. Sketch is a more robust design tool that is usually used by product designers, but if you’re proficient in Sketch, you can create some powerful images. Unsplash is a collection of beautiful photos are given away for free usage. Use it instead of cheesy stock photos. Okay, just one more stock photo site. Stock photos are important, and you don’t want to be stuck using the same ones that are repeated all over the internet. It’s good to have options. LucidCharts lets you easily create and use flowcharts, UML, wireframe, mind map, and more diagrams directly. If you’re a visual content creator, this is a must have. It makes it so easy to create quick visuals to support your written word. Bannersnack is a great tool to design featured images for your blog posts, and it’s also commonly used to create banner ads for your website that you can embed directly on your platform. Depending on the style of your content, you’ll need to do some sort of research before (and during) your blogging. This includes any information gathering you do to produce your content or bolster its credibility. There are several research tools for bloggers available today. I agree. I use Buzzsumo at least a few times a week, mostly to analyze social influencers and social results of a blog post or website. 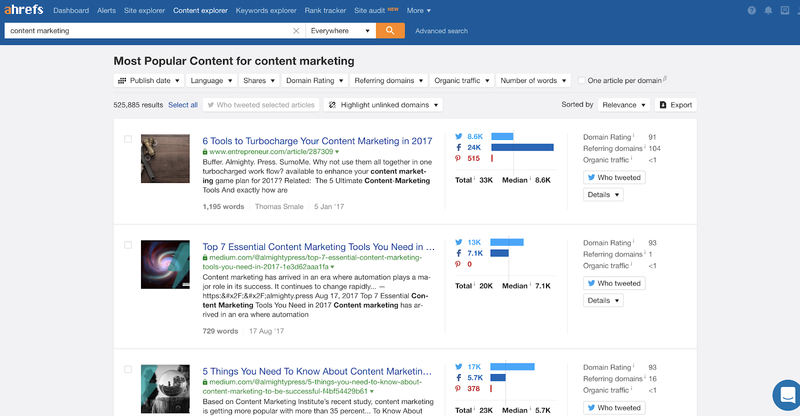 It’s increasingly coming out with new tools, as well, like their Question Analyzer, that finds you questions on sites like Quora for your given keyword. 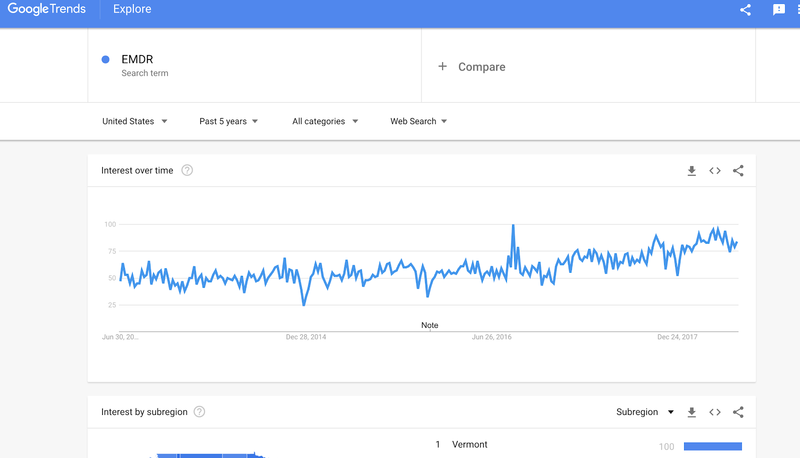 Google Trends is the gold standard nowadays when you want to get a quick, rough look at how something has become popular (or less popular) over time. Wonder is a pretty cool research assistant. Just ask a question, and a team of worker bees will come back with an answer. It’s a great resource for the writer with a lack of time before a deadline (all of us, probably). 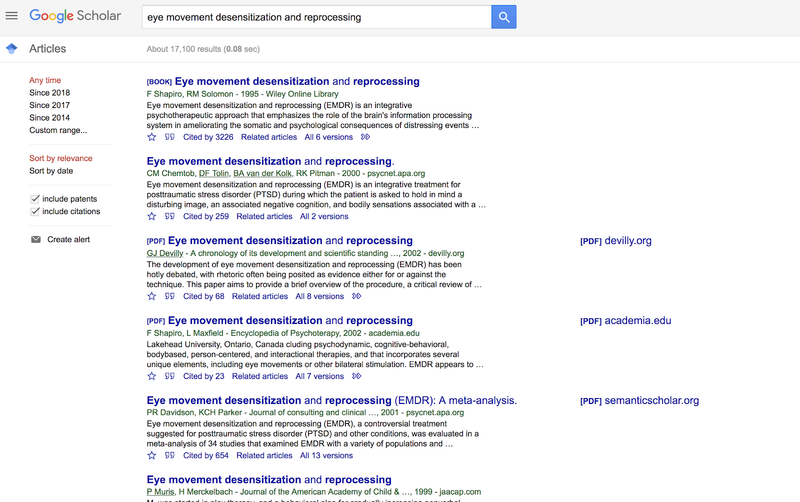 Google Scholar is my go to (always has been, since University). Just plug in your topic, and dive down that rabbit hole! SlideShare, owned by LinkedIn, is a great place to find (and upload) presentation slides. If you want to add a bit of depth to your blog post topic, you may be able to find some supporting content on Slideshare. Not every SEO person needs to be an excellent blogger, but every blogger should know at least a little bit about SEO. In terms of continuous traffic acquisition, SEO is where the money is at. If you don’t already consider SEO when you’re publishing, you should start. The following tools will give you everything you need to get going. SEMRush is a multifaceted tool that allows you to get insights on a website, including SEO and PPC data. I find SEMRush to be an incredibly robust tool, especially for SEO research, but also for continuous tracking and optimization of your content. I haven’t worked as much on the paid side, but I know many people who trust and love SEMRush for paid data as well. Ahrefs is a similar platform to SEMRush, but specializes in SEO and content. It’s probably my favorite SEO tool, ever. You can get competitor backlink profiles, keyword data, rank tracking, content gap analysis, and social share data all in one easy place. I probably use Ahrefs several times per day in my blogging work. 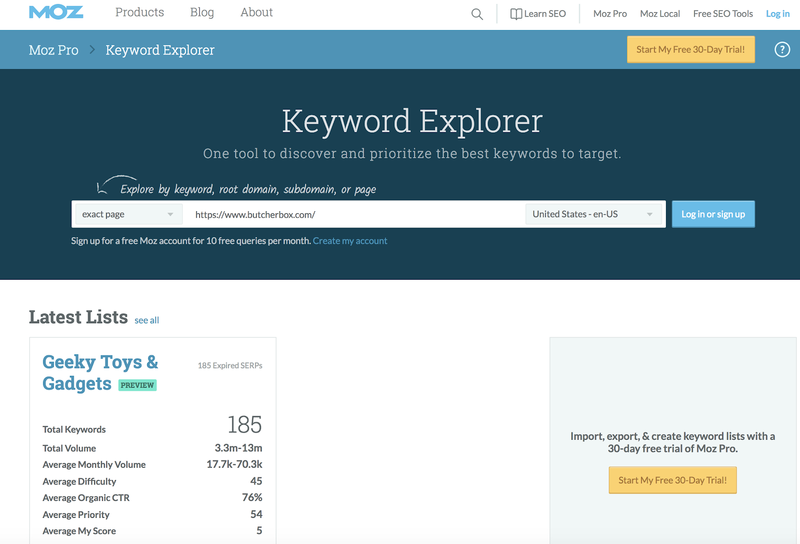 Pascal van Opzeeland, Marketing Director at Userlike, recommends Moz Keyword Explorer to to find high traffic keywords that are relatively easy to rank for. I haven’t used the paid version, but I know you can get 10 free queries a month if you sign up for an account. Answer the Public is a great way to capture the long tail of a given topic. Accuranker is a quick-to-set-up and simple rank tracker. It’s great for marketers who want to track their SERP position over time. You can set recurring reports for a set of keywords and even send them to other teams. Great, simple tool for rank tracking. Google Search Console is the staple, the bread and butter, of the tools an SEO uses frequently. Some of these things are pretty specific to the skill set of an SEO, but some of it should be used by everybody (like analyzing your rank, CTR, impressions, etc., for a keyword). Most people have trouble measuring the effectiveness of content, but it’s definitely possible. More than that, tools today have made it pretty cheap and fairly easy to get a good glimpse at how well your blogging is performing. These tools will help you get a clearer picture of your efforts. Google Analytics is the standard of online measurement. It’s easily the most used analytics tool. It’s also free, so you might as well use it and learn how to use it well. Unfortunately, there is a bit of a learning curve to getting up to speed on Google Analytics. Fortunately, there is an amazing amount of content out there to learn the platform, most of it free. Start with Google Analytics’ own training, and then move onto Chris Mercer’s GA course. Bitly is a custom URL builder that is, more than anything, an analytics tool. It helps you capture data where Google Analytics comes short. Basically, if you’re running a campaign, you can wrap the URL in a Bitly link in order to see data on how many people and who clicked through on it, no matter where the link points. If you’re doing a lot of social media campaigns, I definitely recommend looking into Bitly. You can write and publish all you want, but if no one is reading your content, you’re wasting a lot of time and effort (and there are too many unfinished books out there to keep wasting time like that). Promotion is daunting, but it’s not actually difficult – at least the 80/20 is easy enough to master. 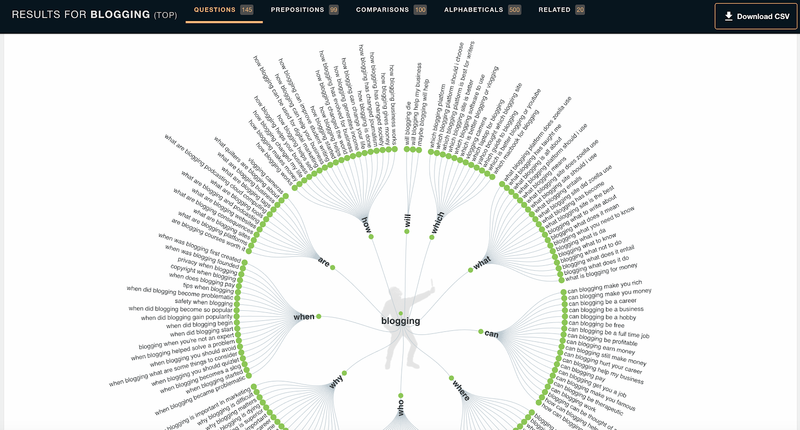 Snag a few of the following tools to help you get some eyes on your content. Buffer is easily the best social media management tool, at least from a user experience standpoint. It’s just a joy to use. You can queue up your posts to share later. You can reshare popular posts. You can analyze the effectiveness of different messaging. With Pablo, you can also create great images for social. Buffer is super affordable, as well. Hootsuite is a bit more up-market, and its user interface feels like it (definitely not as fun to use as Buffer). I suppose it has a richer feature set. If you need to manage tons of accounts and need all the bells and whistles, this might be the way to go. Quuu is a curation software that puts your social media on autopilot. First, it gives you, the social media user, the ability to tweet curated articles from given content streams (whichever topics you choose). Next, you can use Quuu Promote to put your content into that stream that gets spread by Quuu users. Pretty nice little boost for little to no extra effort. Zest is kind of like a mix of Pocket and Quuu. It’s a curated stream of content, largely for consumption and sharing. But you can also add your links to the mix to get a little boost. It’s part community, as well, so you can meet other bloggers and social influencers there. Curata offers content curation software that appears to use some sort of machine learning to surface content recommendations. It’s a bit up-market, but if you want to get serious about curation and creating a stellar social presence, it’s probably worth looking into. Part of promotion is also outreach. Yes, to get your content in front of influencers and readers, you sometimes have to do a bit of emailing. In addition, learning the art of the cold email is also important if you want to find good guest writers, source subject matter experts, or really just introduce yourself to anyone outside of your current network. Lots of tools in this space nowadays. Mailshake lets you send mass personalized cold emails, and it lets you follow up automatically based on opens or responses. I’m a big fan of this tool for cold outreach. Reply.io is another sales email automation solution that lets you automatically send personalized follow up emails to your list. Don’t want to sign up for a software solution? Don’t need to. This one is a Google Sheets add-on that lets you put together a list of contact email addresses and mass email them all (using personalized tokens if you’d like). You can also send attachments. This is a great tool if you just want to do a one-off blast. Of course, you can’t measure the results very well, and if you do a lot of cold email, you’ll definitely want a dedicated solution. Boomerang lets you schedule emails as well as send yourself follow up reminders. In addition, it’s got a really cool machine learning feature that shows you how “respondable” your email is. It works mainly with Gmail. Really awesome tool. A CRM that helps you manage all contact points with your outreach. A templates tool to save time on email templates and to measure their effectiveness. A sales automation tool to automatically personalize and send follow up emails. A meeting scheduler to save you time on back and forth emails. Of course, they have paid versions of all of these, and they can get pretty pricey. But you can pull a lot of value from the free versions. While the following is a bit more advanced, being able to measure, analyze, and improve the user experience of your blog will put you so far ahead of the game. Very few in the blogging space know how to do this stuff well. However, the tools out today make it much easier to accomplish. Google Optimize offers a free A/B testing and multivariate testing platform. You can easily set up split tests to test out new variations of your website pages and blog posts. HotJar is an all-in-one customer analytics tool. It’s super useful, no matter what your actual job role is (marketing, product, content, etc.). It’s an amazing tool for a blogger. You can set up polls on blog posts to ask visitors question. You can send out surveys. You can create heat maps. You can set up form funnels. You can even watch session replay videos. It’s super affordable compared to its competitors as well. CrazyEgg specializes in heat maps. They do scroll maps, click maps, hover maps – everything. It’s a really handy tool to use, especially when you’re analyzing reading behavior on blog articles and how far people make it down a page (and what links they click on). Qualaroo is probably the most feature rich and user friendly survey/poll tool. You can even set up your polls to act as CTAs or email capture tools, in addition to gathering prime user insights. A great way to increase conversions – whether a conversion means a blog subscription, a purchase, a trial, or whatever – is to show people that other people are converting as well. This is known as social proof, and it’s a very powerful lever to influence human behavior. No one wants to eat at the empty restaurant, and no one wants to buy if no one has has bought. Proof, a Y Combinator startup based in Austin, gives you the ability to easily set up social proof on your website. Drop a comment if you think we missed something that should be added. I saved 5 hours uploading this post from Google Docs to WordPress using Wordable.